Katherine Shappley heads Facebook’s North America Small Business team. 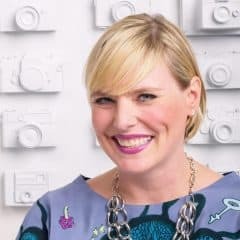 A six-year veteran of Facebook, Katherine oversees sales, account management, and service for millions of small businesses who use Facebook to connect and grow. Her passion for small business started after college while teaching English internationally in Turkey, the Czech Republic, and South Korea. Many of Katherine’s students were small business owners with unique passions and a hunger for learning. Katherine saw first-hand the impact of enabling small business growth on economies around the globe. Previously, Katherine led Facebook’s US Agency and Financial Services sales teams. Before joining Facebook, Katherine led successful teams at Microsoft and Quigo Technologies. A native of Mississippi, Katherine earned a BA in Literature from the University of Mississippi. She recently relocated from NYC to Austin, TX with her husband John and 4-year old son Henry. She and her family are enjoying their new home town and are actively on the hunt for best Tex-Mex in the city.